The big week of Charlie's 3rd birthday party is here! Here is a peek of the invites. 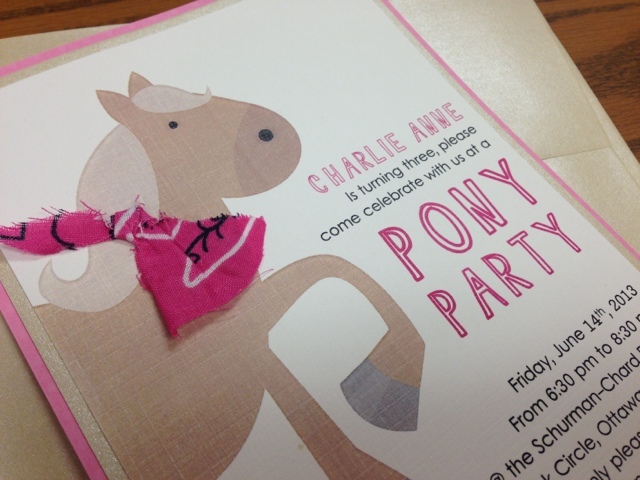 Pony clip art is from etsy and will be all over the party decor! 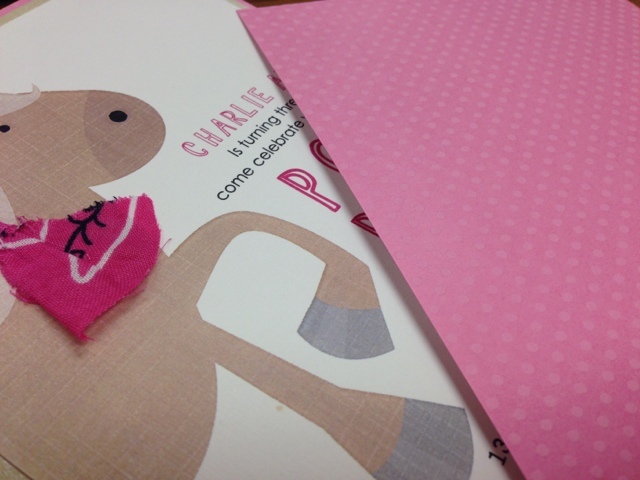 The back of the invites is pink Swiss dot cardstock, I just love the texture!